Zak Korvin is a big fan of art, which he proved at the end of last year. 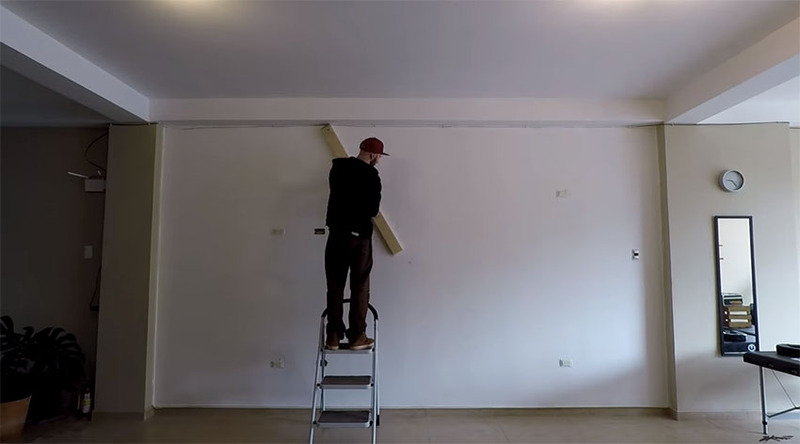 On the web, he posted a video clip, where he started drawing on one of his walls. The part of the art has Zak taken on a very special way - by drawing dots to create special effect. First, he painted the wall and then drawn lines of the basic image that he had already designed. He did this part only wit traditional techniques using a ruler, a chamber and even a compass. Once the basic shape was made, he took the marker into his hands, and then, with the help of drawing dots on the wall, made an exceptional final image. The whole artwork was made by Zak for five days, while he spent between 6 and 8 hours each day. In the end, we can see the result of his work on the wall, which took over many web users. When you see what kind of masterpiece he created with the help of dots, you will be delighted too!